The word nostalgia comes from two Greek roots—nostos, meaning the return home, and algos, meaning pain or longing. 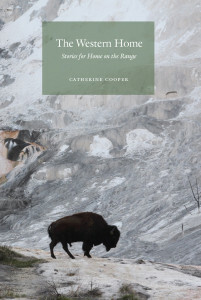 The Western Home tells the story of the folk song “Home on the Range” through characters seeking to integrate their experiences of upheaval and alienation into meaning and identity—to transform their longing into belonging, their pain into understanding—by retreat to the safety of an ideal. “Home on the Range” is the protagonist of The Western Home, and the supporting characters are the people who helped shape the song’s destiny by writing, rewriting, singing, recording, claiming and disowning it. Each story in the collection takes place in a different decade following the year of the song’s composition as a poem, in 1872. Beginning with the lonely, alcoholic pioneer, Brewster Higley, who wrote the poem, and concluding with a disaffected teenager who works in a rural Kansas tourist kiosk near the original site of the poem’s composition, this collection explores themes of collective memory, collective forgetting and the loss that is implied in both. Whether they are seeking out ideal landscapes, or pursuing invincible beliefs, or trying to make meaning out of chaos, the characters in these stories are all trying find a way home. Purchase from your Local Independent Bookseller or from Amazon.